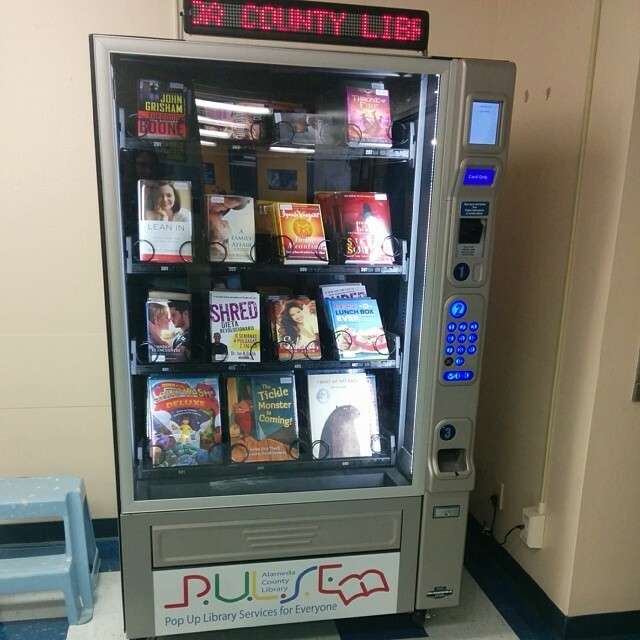 The Alameda County Family Justice Center (ACFJC) in Oakland, California is home to a very cool vending machine –one filled with library books (and it’s not the first)! It’s officially called the “Pop Up Library Services for Everyone” or P.U.L.S.E. and it contains reading materials for both adults and children. The AFJC site states, “Clients of the ACFJC can get their own P.U.L.S.E. library card to be used as often as they like to check out books. Books are then returned to the ACFJC, just like a regular library branch.” Neat!